Upon dying, a parent may leave his or her child a pecuniary inheritance. Yet, this is not the first one. Even during life, a parent provides his child with more than one genetic inheritance. One such inheritance involves eye color. Each parent contributes one eye color gene to his child. This means there are two different genes that determine the color of a child’s eyes. But if the two genes represent different colors, what color will his eyes be? During the mid-1800s, an observant man, Gregor Mendel raised pea plants. He noted different plants produced peas with predictable variances. Using deductive reasoning, he uncovered the principle of dominant and recessive genes. After his death, his findings were applied not only to peas, but to other plants, animals, and humans as well. 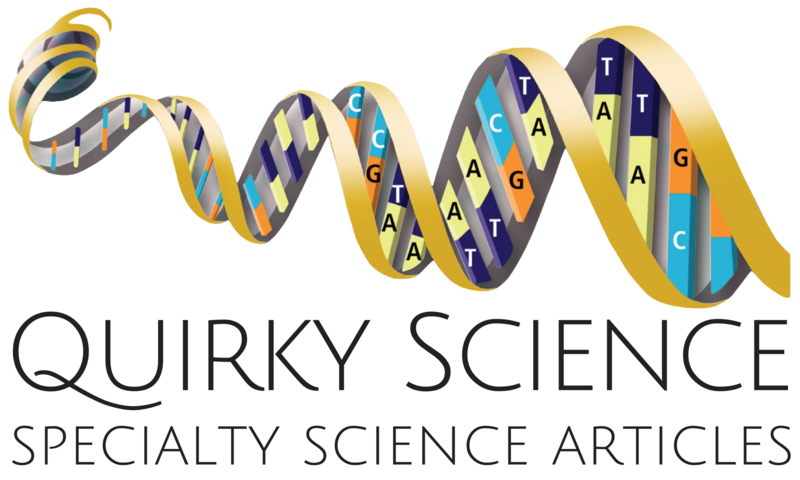 We here illustrate the principle of dominant and recessive genes in determining eye color. Most people possess either brown or blue eyes. It takes two genes – one from each parent – to determine eye color. If the eyes of both parents are blue, every child they bring to birth will have blue eyes. No child will have brown eyes. Why is this? It is because blue is a recessive gene. This means both genes of both parents had to be blue. What if one of the parents had had brown eyes? Brown is dominant. This means a person can have brown eyes two different ways. How is that? A person with brown eyes may have two brown genes. Or, he may have a brown gene and a blue gene and have brown eyes! So what color eyes will children have if the one parent has brown eyes, while the other parent has blue eyes? Is it a foregone conclusion they will all have brown eyes? Sometimes yes, sometimes no! 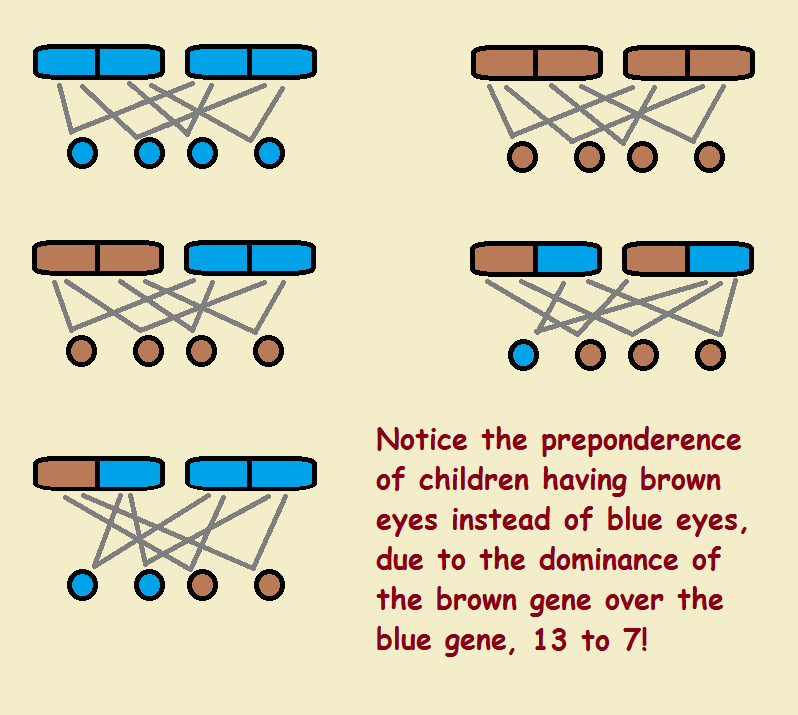 If one parent has “pure” brown eyes (two brown genes), he can only pass on a brown gene. His wife can pass on only blue. Brown is dominant. All the children will have brown eyes. Again, that is the case if one parent has two brown genes. On the other hand, if a brown-eyed parent has one brown gene and one blue gene, he can pass on either a brown or a blue gene. If the brown gene is passed on, the child will have brown eyes. If the blue gene is passed on, the child will have blue eyes. One might expect statistically that, if the family had a large number of children, about half would have brown eyes, and half blue eyes. What if both parents have brown eyes? If both parents have “pure” brown eyes, the kids will all have brown eyes. If one parent has pure brown eyes, the kids will all have brown eyes. But… if both of the parents each have one brown gene and one blue gene, statistically, one child out of four will have received two blue genes and have blue eyes. Statistically, three of the four children will have brown eyes. Surely this is out of date. No. Of course one can introduce the complicating factor of green eyes, but the principles remain the same: dominant and recessive combinations, and their resulting statistics.